Discussion in 'Ranchero Tech Reference & Articles' started by 72GTVA, Feb 2, 2008. (Post edited, the link to the Hurst Shifter Rebuild Program was no longer directing to the appropriate page). Required tools: 9/16” wrench and shifter alignment tool (1/4” round rod, bent to an ‘L’ measuring 1 ½” x 2 3/4”) , or a 1/4" allen wrench will work if needed. 2. With the shift lever in the neutral position, insert the alignment tool into the shift control assembly. Be sure the tool is completely through and located in the notches on both sides of the shift control housing. 3. Withdraw the alignment tool completely, and reinsert it. If the tool enters all holes through the levers and notches in the housing freely, the shift assembly is properly aligned. 4. If any lever does not accept the insertion of the tool it is out of alignment. Observe the levers while inserting the tool. A lever that moves as the tool is inserted is slightly misaligned and must be adjusted correctly. 5. For any lever that is misaligned, loosen the nuts attaching the transmission shift control rods to the shift levers. 5A. 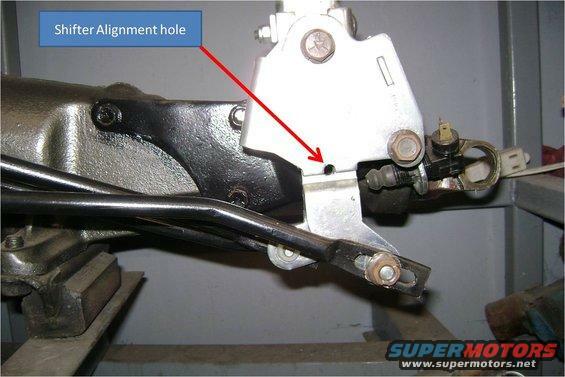 If you are aligning an aftermarket shifter use the following procedure: If the 1-2 lever interferes with the smooth insertion of the alignment pin, remove the 1-2 linkage rod from the shifter and thread the adjuster button (threaded stud) either in or out to eliminate the interference. Repeat this procedure with the 3-4 lever and reverse lever. 6. Disconnect the reverse shift rod at the shift control assembly. 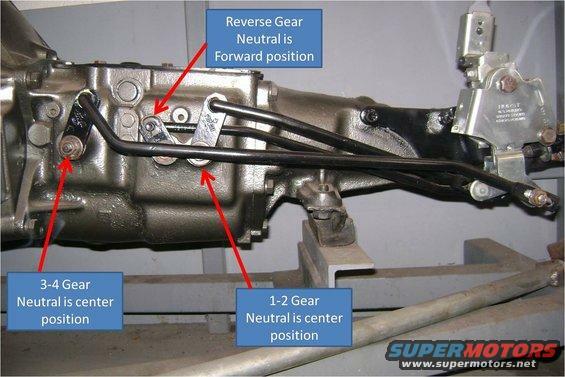 Rotate the reverse lever of the transmission clockwise so the transmission will be shifted into reverse gear. 7. Tighten the two forward speed shift rods at the control assembly to specification. 8. Rotate the reverse transmission lever counterclockwise until it stops. 9. 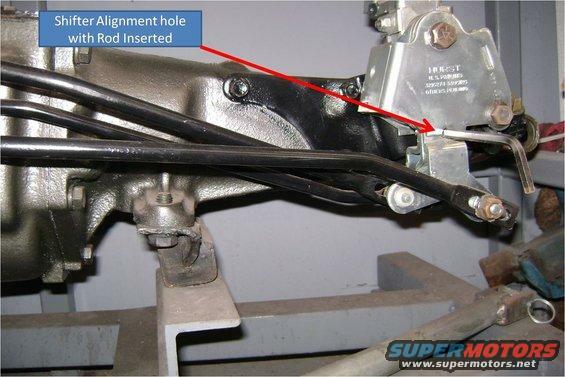 Attach the reverse shift rod to the control assembly and torque the nut to specification. 10. Remove the alignment tool. 11. Check the shift mechanism through all shift positions, connect the battery ground terminal. To adjust the stop bolts, back the bolts out of the shifter frame until only a few threads remain. Push the stick firmly into third gear and hold. Screw in the stop bolt until contact is made. Release the stick and back the stop bolt out one turn and tighten the jamnut. Push the stick into fourth gear and repeat the procedure. 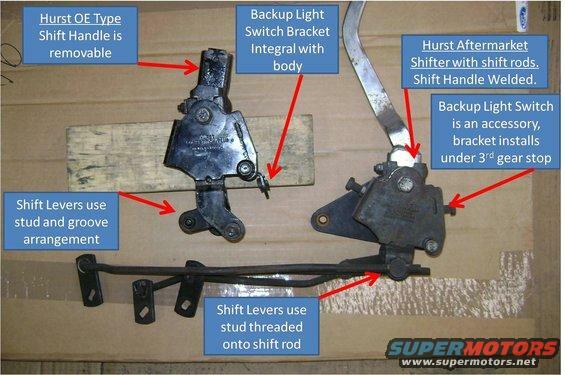 Plate Shift Control to Transmission Extension – 96 to 144 Inch Pounds.